Join our team and make the world better for developers! This post was written by Jeff Sandquist, General Manager, Cloud Developer Relations. Join us at the new and improved Microsoft! We are building the Developer Relations dream team in Azure engineering. Our global team is maniacal about making the world amazing for developers of all backgrounds. We're excited to support and contribute to open source platforms, tools, and processes. As Developer Advocates, we’re spreading awareness of Azure and enabling developers to do what they love; write, code, and learn. Through Developer Advocacy, we meet with developers around the planet. We deliver talks online, build and give demos of our products as well as working alongside open source solutions, hold office hours and meetups, and build strong relationships with technical communities worldwide. We're deep on .NET, Java, Linux, Node, AI/ML, Containers, DevOps, Data/BI, and more. We work across every product and service in Azure to craft high-quality technical docs and samples. All of our documentation is open source, on GitHub and awaiting your pull request. Docs are code. In fact, great online content (docs, demos, videos, code) is the foundation of everything we do and it enables us to deliver amazing talks where developers have an immediate call to action to go home and build what we showed on stage. We're also the team responsible for making sure every Azure product and service is ready for a worldwide audience through localization, documentation, and other online content. We create global developer online experiences for Microsoft like docs.microsoft.com, Channel 9, and dev.microsoft.com. We connect with technical communities through our programs including Microsoft MVP, Microsoft Regional Director, our annual Build conference and third-party technical events around the globe. This is the heart and soul of reinventing Microsoft’s relationship with developers. Sound exciting? This is your opportunity to join and be a key part of our mission! Join our team of Developer Advocates located around the world to engage with the luminaries and top-tier influencers in our industry! We're looking for great advocates who will have a regional focus based in Australia, Canada, France, Germany, Japan, the United Kingdom, and San Francisco and New York in the United States. Check out our Advocates page to see some of the team members you could join. We are looking for Cloud Developer Advocates who specialize in one or more of the following areas: .NET, containers, AI/ML, DevOps, cryptocurrency/blockchain, security, IoT, Serverless, Security, Identity, Linux/OSS, Containers/Docker/Kubernetes, Hybrid Cloud, SaaS & Business Apps, DevOps. Basically, if you believe in the world-changing power of developers and passionate about talking to developers about technology, we have a home for you. Check out these roles and apply today, but don’t hesitate to reach out and tell us how you can help us. 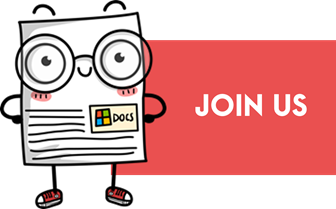 If you are interested in building the systems that deliver our technical content to the world, or to get involved in the deep technical work of localizing Microsoft products, then this is the team for you. Check out our open positions & apply today. Do you consider yourself a passionate and driven Technical Content Developer who can create engaging content? Then check out our open positions & apply today. Are you ambitious, love to work with data and customers, and are keen about defining the vision for products that reach millions? Then check out our open positions & apply today. If you need assistance and/or a reasonable accommodation. due to a disability during the application or the recruiting process, please send a request to askstaff@microsoft.com.